Can you picture a massive building with organic lines and curves that flow like the shapes of Nashville's rolling hills or the Music City's melodic sounds? With ceilings that mimic the patterns and structure of grand piano keys? Or rooms with walls that bend, filled with acoustics that make you feel as if you're standing inside of a mandolin or guitar? 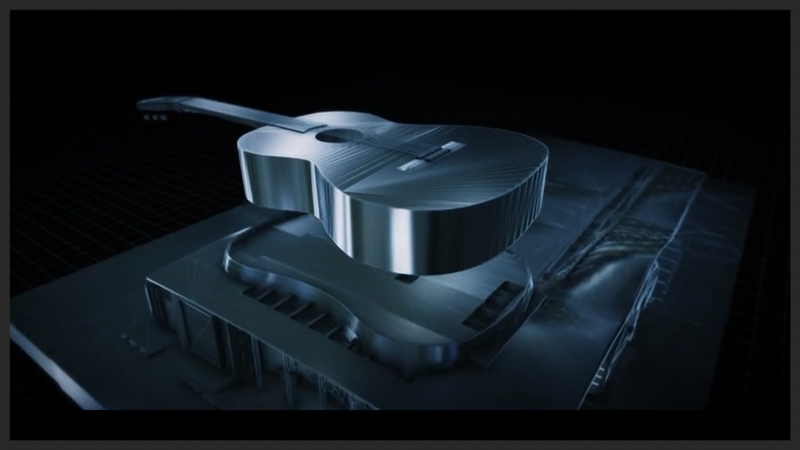 The movement and fluidity of music itself was the design inspiration for the Music City Center. This center takes on the idea of a city's brand identity to a whole new level. And at 300,000 square feet of exhibit hall space, 60,000 square feet of ballroom space, and 1.2 million square feet of space in total, this convention center is music to any event director's ears. The center was needed to bring new life and business into Nashville, and needed to expand in the city's downtown urban setting, according to Charles Starks, the complex's president and CEO. He wanted the center to look like nowhere else in the world. In this episode of "BUILT.," in partnership with FCSI The Americas, FCSI consultant Michael Pantano of Culinary Advisors, tvsdesign, and the visionaries behind the Music City Center work in harmony to turn this building into the pinnacle of flexibility, sustainability, and foodservice excellence. In terms of functionality, Pantano always thinks like a chef. Aware that only 25 percent of a kitchen needs to be in fixed positions, whether due to the cooking line or exhaust hoods, he was able to make everything else mobile. Just as the entire convention center was flexible and fluid — without fixed concession stands or fixed dining areas so that the space could be reshaped — the kitchen could move with the needs of clients, too, able to fluctuate from serving six to six thousand. 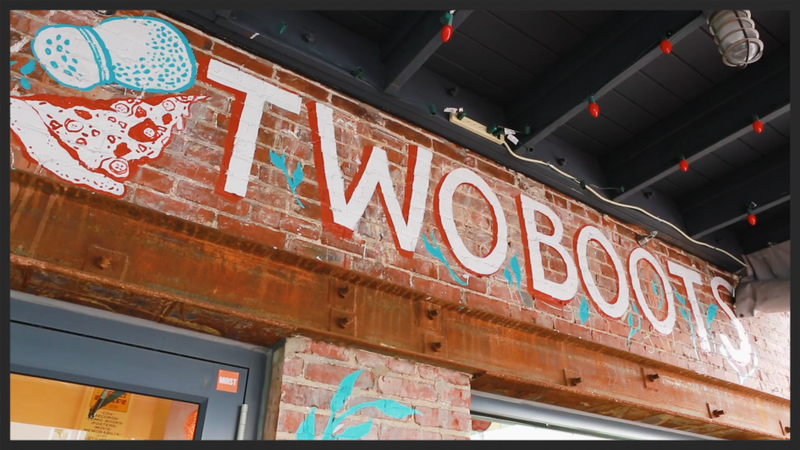 "Our food sales have over doubled what we had projected initially and we've become known in Nashville as a place to go to for food. Not the convention center, but a place to go to for food," Starks said. The beautiful architecture and foodservice aren't the only things that set this design paragon apart from the rest. This space is also sustainable. Above it lies a 4-acre green roof, the largest one in the Southeast, growing 14 types of vegetation. The center also has a solar farm and honey bees on site for the kitchens. The staff keeps close relations with local farmers to serve food with a farm-to-table feel. The Music City Center also has a 360,000-gallon rainwater storage system that captures rainfall and utilizes it, not only to irrigate its plants and landscaping but also to flush their sewage system. That has led to 54 percent saving in the building's water usage in three years. Watch the full episode above now! The Husk Bar is found downstairs in what used to be the master bedroom of a historic 1800s home in Rutledge Hill. Upstairs you will find the James Beard Award-winning restaurant, Husk Restaurant. The bar has an attached patio, and right outside, you will find an atrium providing something more than just a garden view. In the atrium lives the Husk’s herb garden, where bartender Mike Wolf picks herbs and garnishes at season’s peak, often inspiring new cocktail recipes. 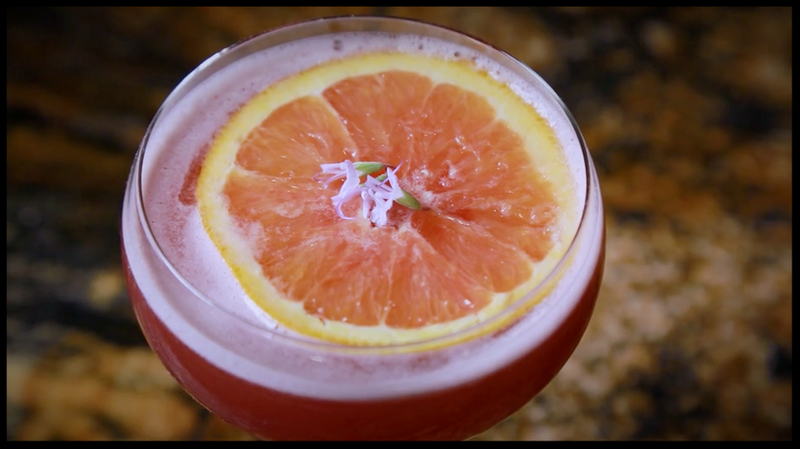 In this episode of “Across the Bar,” Paul Barron travels to downtown Nashville to see what they’re stirring up at the Husk Bar. In order to turn out a drink with intense color, Wolf tried his hand at a Midori Cocktail using Centenario Plata tequila. Pulling some salad burnet from the Husk herb garden to intensify the melon flavor and finishing it off with a housemade tincture, the Robotic Reaction transforms the intensely sweet flavor of Midori into a more organic tasting cocktail with a kick. 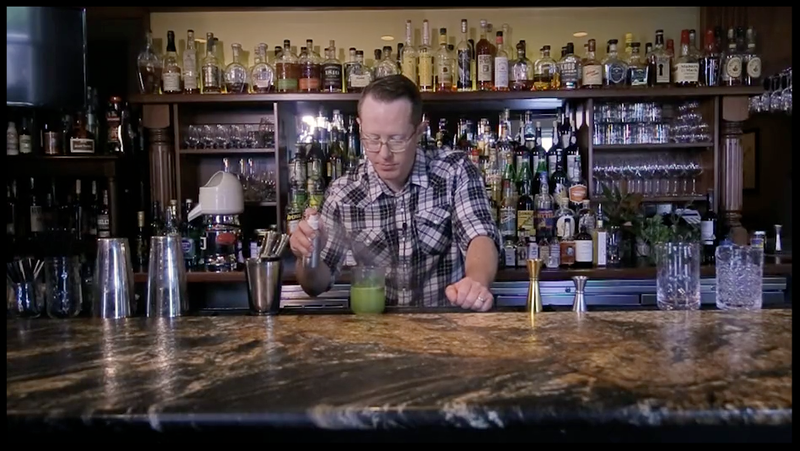 This final cocktail shows the true skill of the bar at Husk. Using their own housemade Cara Cara Orange Curacao, Wolf creates a unique drink that Host Paul Barron can’t get enough of.